This month's extra activity is going to be a play called PSS PSS inspired by silent film and the circus. We will watch the play at the Bretón Theater and discuss our impressions over a drink after. Mark your calendars, I'm announcing the upcoming extra activities I'm offering in conjunction with your usual class programming. I recommend participating, it can be a great way to challenge yourself outside of the classroom. You're welcome to bring an English-speaking friend or relative along, but please confirm your attendance at least 2 days ahead of time. Eat, drink and speak English. As simple as that! A way to celebrate the holidays, exchanging gifts and good cheer. We will get together to discuss the thought-provoking book and TV Series, The Handmade's Tale. You can read the book in English (highly recommended!) in translation, or watch the show. This week I'm offering the chance for some cinema in original version! We're going to go see Mother! on Thursday October 19th 22:00 at 7 Infantes Cinema. We will meet beforehand (9:15) for a drink and some conversation before the show. If you are interested, please email me so I can reserve tickets. This month's extra activity will be a hike in Trevijano on Sunday May 29th 10:30. Come for a hike in one of La Rioja's most charming villages. We will enjoy some snacks after and will be finished in time to be back in Logroño around lunchtime. If you'd like to come, please sign up by Monday May 23rd. Minimum 5 students to go ahead with the activity. Also, please specify if you'd like to carpool, and if so, if you have a car. We've got several upcoming extra activities. Take a look and sign up to practice your English! Did you know you can study English while learning how to cook, listening to a blues concert, or talking about photography? Sign up now! A whole weekend of English: workshops, hiking, Blues concert (with songs in English), cooking class. 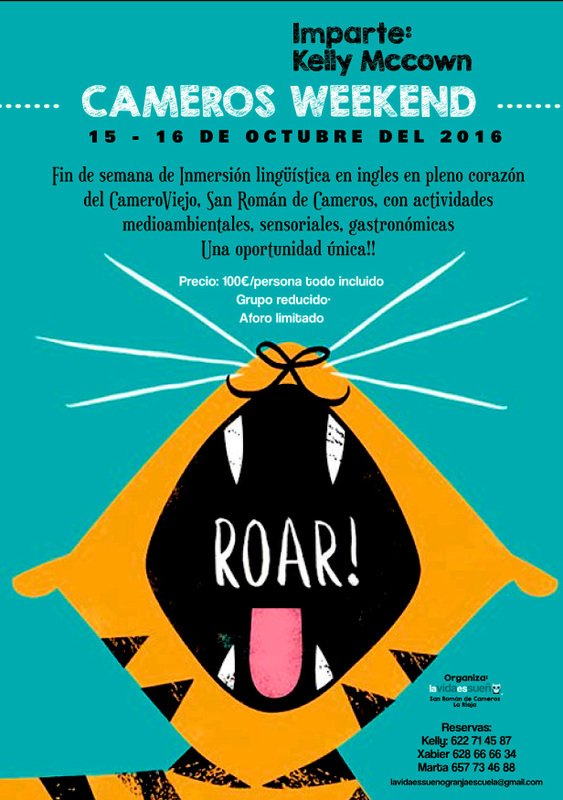 Two days of activities in English at the wonderful LavidaesSueño in San Román. Saturday March 12-Sunday March 13th. 100 Euros including all activities, accomodations in the hostel, and amazing food. If you can't come to the whole weekend of Linguistic Immersion, you may like to come to an afternoon hike on Saturday March 12th in San Román and stay for the DevotoBlues Concert. Hike around 16, concert at 20. Concert tickets are 10 euros. Currently, I have a photography exhibition at Planta Baja (c/ Cigüeña 10). On Friday April 8th 19:00 there will be a guided visit to the exhibition in English. In March I will be collaborating with the wonderful people at LavidaesSueño to offer a weekend of linguistic immersion in San Román. This activity is apart from the activities at Meetinghouse, but I wanted my students to know in case anyone is interested! Please contact Marta or Xabier to sign up. Do you want to spend a weekend abroad without leaving Cameros?... then sign up for CAMEROS WEEKEND at LavidaesSueño on March 12th and 13th. If you already have accomodations in Cameros and want to participate in the immersion activities, 87 euros. Our next extra activity will be Sunday February 7th 19:00, to see the cult classic musical play (starring a Meetinghouse student!) Rocky Horror Picture Show whose songs are in English. Tickets are limited so if you would like to come, please get in touch ASAP! The price of the ticket is 12 euros. Time for our December extra activity! I wasn't able to find an affordable kitchen with an oven to rent to make Christmas cookies, but don't worry, I have a great plan B - making Christmas Candy! We will meet on Saturday December 12th at 10:00 in the class space (depending on the number of students) to try our hand at making some classic Christmas candies such as fudge, truffles, and almond brittle. If you would like to come, please confirm by Thursday December 10th, a miminum of 5 students is required to go ahead with the activity. ​This month's extra activity will be a visit and discussion of a photography exhibit by Jesús Rocandio. We will meet on Saturday November 14th at 18:00 at Sala Amós Salvador. Please confirm by Wednesday November 11th if you're interested (minimum 5 students to confirm activity). Come carve pumpkins and chat with fellow students at Barrio Bar! In honor of my favorite holiday, Halloween, this month's extra activity will be pumpkin carving on Tuesday October 21:00 at Barrio Bar! Learn how to make a real Jack-O-Lantern and enjoy chatting with other students. I will provide pumpkins. You should bring a knife. If you would like to participate in pumpkin carving please confirm by Sunday October 25th. A miminum of 5 students will be required to hold the activity. For this month's extra activity, we will go to a musical with songs in English! The classic Rocky Horror Picture Show will be perfomed at the Sala Gónzao de Berceo (Calvo Sotelo 11) Sunday May 10th 20:00. Hike in Trevijano on Sunday April 19th 10:00. 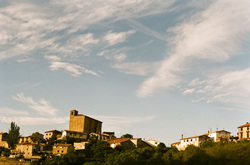 This month we will hike in Trevijano on Sunday April 19th. We will meet at the parking lot at the beginning of town at 10:00. If you would like to come, please email and confirm, and tell me if you would like to carpool with other students. The hike will be an easy and pleasurable 1.5-2 hours and those who would like to enjoy a snack after are welcome to join us. I will provide some snacks and drinks at my house, if you would like to bring something, that would be great, but it's not required. Here is a link to driving directions: google maps. We will dye easter eggs on Sunday March 29th at 18:00. If you would like to participate, please email to confirm so that I can buy the appropriate number of materials. Thanks! This month's extra activity will be movie night! We are going to see the movie Blue Ruin in original version with subtitles at the Bretón Theatre. Afterwards, we will have a drink to discuss our opinion about the movie. The price is 5 euros. If you would like to join us, please confirm by Friday February 13th. I will buy the tickets to sit together. If you don't confirm by that day, you can still come, of course, but you will have to get your own ticket. Thursday January 15th 20:30 at La Retro. Hi everybody! This month's extra activity will be this Thursday January 15th at 20:30. We will play games at La Retro! Come enjoy a great atmosphere and fun games, all while speaking English! Come celebrate the holidays with our annual Yankee Swap! In honor of the holidays we are going to get together for a fun gift exchange game. Here's everything you need to know. What do I need to bring and do? The Yankee Swap is a fun gift exchange game, but you do not need to buy anything. You must bring one wrapped recycled gift, anything you may have that you don't want anymore: a book, CD, gadget, decoration, etc. etc. I'm sure you have something at your home that you don't need, so wrap it and bring it to give away! You will receive a gift in return. Please do not buy a gift, recycle something that you already have. Extra Activities in November, December, and January will be a collaboration with Meetinghouse and Espacio La Retro located on Calvo Sotelo 9. All activities will be at 20:30, and are open to the public. Come speak English with us at a lovely place to relax and have a drink! November's extra activity will be a poetry workshop. First, we will mingle and get to know eachother and break into smaller groups to read and discuss a few famous poems. All in the lovely space of La Retro! Come carve pumpkins and chat with fellow students! In honor of my favorite holiday, Halloween, this month's extra activity will be pumpkin carving on Thursday October 30th at 20:30! Learn how to make a real Jack-O-Lantern and enjoy chatting with other students. I will provide pumpkins, refreshments, and halloween music. You should bring a knife. For this activity, I need to know how many pumpkins to buy so please confirm if you would like to go before October 28th! Mark your calendars, our June extra activity will be Sunday June 15th at 19:00, a visit to the Teo Martinez exhibit at Casa de la Imagen, part of the prestigious PhotoEspaña festival. The votes are in, our extra activity this month will be a lovely hike around Trevijano on Sunday May 25th 10:00. Please meet at the parking lot at the beginning of town at 10:00. If you would like to carpool, please email me to put you in contact with other students. You should plan to meet the other students and leave Logroño at 9:15 in order to arrive on time. The hike will be an easy and pleasurable 1.5-2 hours and those who would like to enjoy a snack after are welcome to join us. I will provide some snacks and drinks at my house, if you would like to bring something, that would be great, but it's not required. This week's extra activity will be this Thursday April 10th at 20:30. We will play games at La Retro (Calvo Sotelo 9). You are welcome to bring friends along, but as always, it is in English! There has been a slight change of plans for this month's extra activity. The short film screening and commentary at La Retro on March 20th is still happening, but due to a scheduling conflict I am not able to lead the activity. So since I won't be able to be there, I am organizing another extra activity! We are going to meet on Sunday March 23rd at 20:00 at the Tastavin Bar on San Juan Street for a tapas crawl. Come eat, drink, be merry and speaking English with us. For the next three extra activities I am collaborating with a new space on my street, Espacio La Retro. February's activity is a literary activity -- to read a short story and talk about it over coffee, wine or whatever you wish. 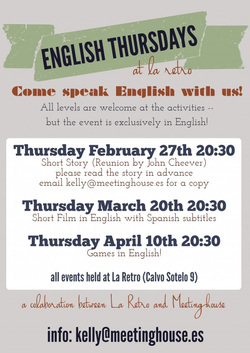 Please read the story, Reunion by John Cheever in advance (PDF or online) beforehand and come to discuss it with us on Thursday February 27th 20:30 at La Retro (Calvo Sotelo 9). This event is open to the public, but as always, is in English! Come discuss a photography exhibit with us in English! The first extra activity of 2014 will be a visit and discussion of the photography exhibit currently at Sala Amos Salvador. Please meet us there on Friday January 31st at 18:00 at Sala Amos Salvador to discuss it in English! You're welcome to bring English speaking guests. 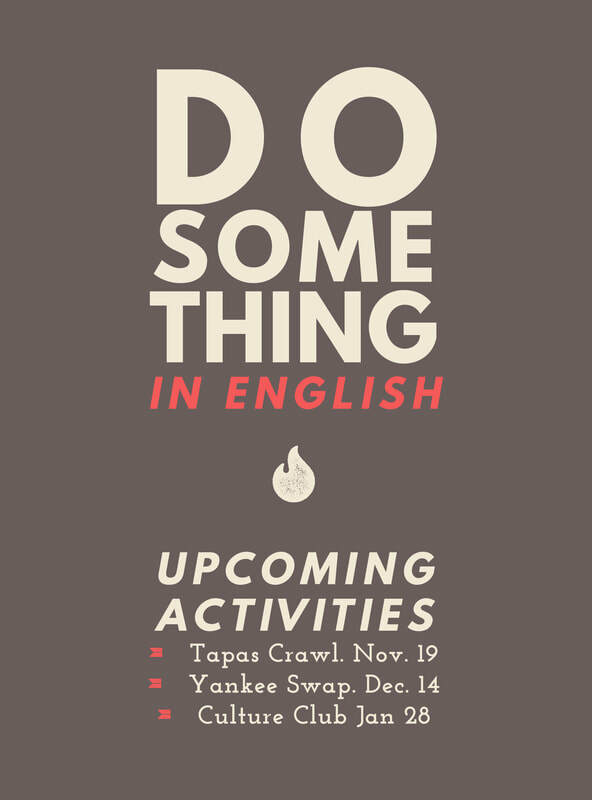 Come celebrate the holidays, practice English and exchange gifts with us! The votes are in -- we are going to have our December Extra Activity on Thursday December 19th at 20:30. We are going to have a Yankee Swap (a.k.a. White Elephant Party). You must bring a wrapped gift to the party! It's not necessary to spend any money, please recycle something you have that you don't use anymore, or something that you have made yourself. We will play a fun game to exchange the gifts! Please email me if you want to participate so I can calculate how many people will come. We will meet at the class space, but if there are many people who want to participate, I will look for a bigger place. JOIN US to speak English and meet other students! Next week we are going to get together for November's Extra Activity. 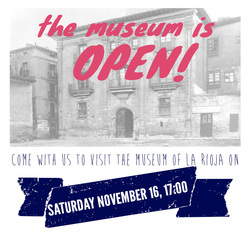 I've never been to the Museum of La Rioja and would like to take the chance to visit it with my students! Who? All students are invited and are welcome to bring friends who want to speak English with us. Where? Let's meet in the Plaza de San Agustín outside of the museum. Come celebrate the beginning of another year at Meetinghouse! Bring an appetizer (like a tapa) with the recipe to share. You are welcome to bring friends or family who want to speak English with us! We will go for a hike in the area around Trevijano to see the views of the Leza Canyon, the old ice house, and some aromatic plants in bloom. The hike will last approximately 2 hours and I will provide a light snack afterwards. You are welcome to bring friends or family who would like to speak English with us! Please sign up with the online form so I know how approximately many people to expect. We will meet at 10:00 at the viewpoint at the entrance of town. You can park at the entrace of town on the right. Here are directions to get there. We will coordinate the carpool from the info in the sign up forms, but if anyone does not have a car, please email me directly to assure we find you a space in someone's car! Meet on the street below our class space to check out some expositions and have a coffee to dicuss afterwards. 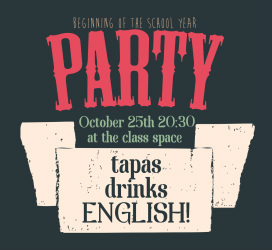 Meet at the Tastavin Bar in the San Juan to enjoy some tasty tapas and chat with classmates in English. Let's get together and play some games in English with fellow classmates! In January we will visit a fantastic photography exhibit on display at the Logroño city hall with old photographs by Victor Lorza that depict Logroño in beautiful black and white photographs from long ago. This month we will get together before the Christmas Break to share some American sweets (think Pumpkin Pie and Christmas cookies) and celebrate with a traditional yankee swap. Are you interested in coming? All you need is to sign up online, and bring a wrapped present. The present should be something made, recycled, or less than 5 euros. This month we will discuss a poem in English over coffee and tea at our usual class space on Calvo Sotelo with fellow classmates. Feel free to bring friends or family who want to practice English, but please sign up before hand on the online form. We will meet at the Plaza del Mercado on Sunday October 28th at 12:00. We will talk about how to use your camera and will take a walk around Logroño trying to capture colors, textures, and light, all the while practicing English with fellow classmates. We're going to visit the Sala Amos Salvador to see the exhibit of recipients of the Spanish National Photography Prize. After, we'll discuss more over coffee. Feel free to bring English speaking friends and/or family. This month we will check out the latest exhibit at the gallery space just down the street from us at Manos Para Que Os Quiero. The artist is Juan Carlos Cardesin who works with watercolors and mixed media. After, we'll discuss the art over coffee. Feel free to bring your friends along! This month's extra activity is Saturday April 21st at 11:00. We will visit Gonzalo Gonzalo's boutique winery in Fuenmayor. The price is 10 euros which includes the visit, tasting, and a bottle of wine. If you are interested, please read more information and sign up online. There is limited space (25 people max) so this activity is first come first serve! We will visit an exhibit of Cuban artist Roberto Fabelo at the Galería Pedro Torres on Calvo Sotelo (next to the INEM) and then discuss our impressions of the art over coffee. As usual, feel free to bring English-speaking friends and signficant others. You can read a little about his art in English here. We will meet at 20:00 at the Taberna de Correos on Laurel street to have a few tapas and chat in English with fellow classmates. This month we will visit the Wurth Museum, a fantastic collection of contemporary art her in La Rioja. One of our own tertulias students will explain a few things in English and we will all discuss our impressions, observations and opinions about the collection and the new exhibit by David Rodríguez Caballero. As a way to celebrate the holidays and a successful first trimester, we will have an informal (but all in English!) gettogether at the Continental Café on December 21st at 20:30. I will bring a traditional American holiday dessert -- PUMPKIN PIE! _Our first large group immersion activity of the year will be a visit and discussion of the current work at the COAR (Barriocepo, 40): Ruins of Detroit, photographs by Yves Marchand and Romain Meffre. 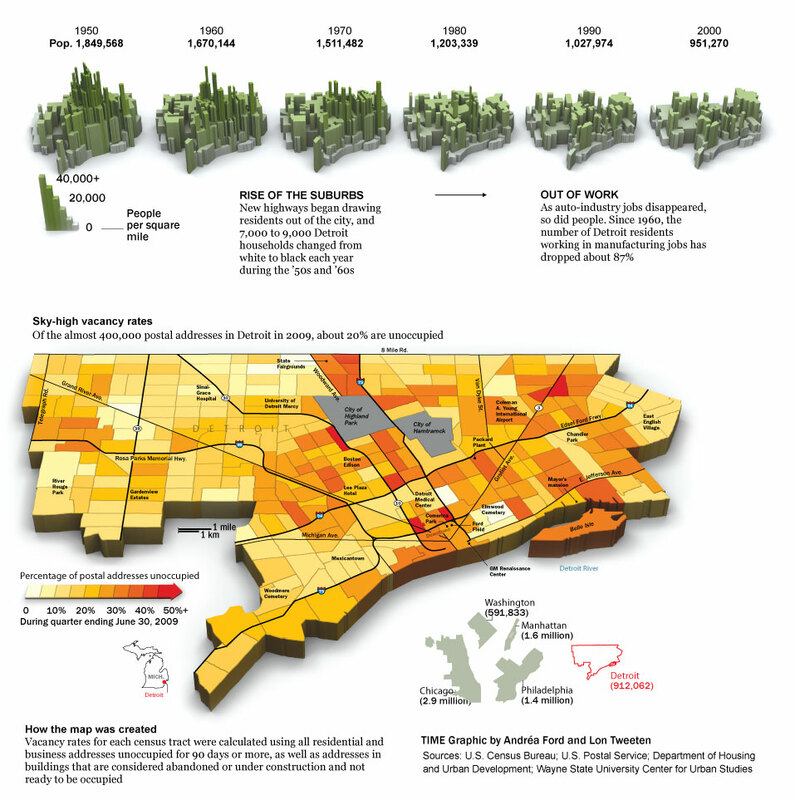 In preparation you can read about the photographers' work, look at infographics about Detroit (1 and 2), or listen to an ESL podcast that discusses Detroit. As a writing assignment you can write a description or critique of one of the photographs, or answer the question, "Do you think that Marchand and Meffre's photographs depict only architectural ruins or America's decline in general?" All tertulia students are welcome and encouraged to attend!